A report by corrosion experts has identified America’s aging water infrastructure as a pressing and costly threat to public health. 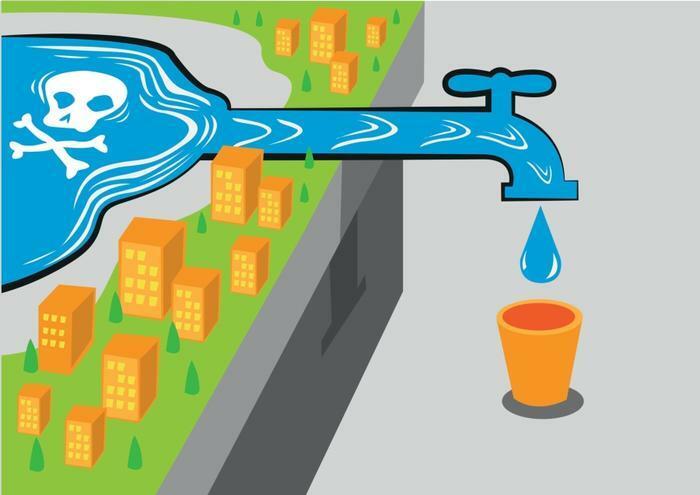 The researchers urge water utilities in the U.S. to take immediate action. The report from NACE International, a nonprofit association that specializes in the study of corrosion, enlisted more than 1,300 corrosion experts to compile the report. It said corrosion in water lines that provide drinking water to millions of American homes is exposing consumers to unhealthy levels of lead and other contaminants. When corrosion occurs in lead pipes, lead gets into the water. Because corrosion often occurs with extended use, the problem is getting worse in some of the nation’s oldest towns and cities. Efforts are already underway in some areas to provide a remedy. NACE says government estimates put the annual cost of replacing aging infrastructure, along with lost water from pipeline leaks, at about $80 billion. However, NACE officials say that does not include the much higher cost of widespread health crises that corrosion can create, such as what has happened in Flint, Michigan. The Flint water crisis put the water purity issue front and center in late 2015 when the city’s water supply was found to contain unsafe amounts of lead. Wide areas of the city lived on bottled water for months as water lines were replaced. One positive outgrowth of the Flint crisis was the attention it brought to the issue. Sebring, Ohio tested its water supply and found lead contamination was up after it stopped adding a chemical to keep lead pipes from corroding. Even the nation's capital experienced a jump in lead levels in 2001 after the city changed some of its water purification procedures. Government health officials say there is no safe level of lead exposure, especially for children. The Environmental Protection Agency (EPA) says homes built before 1986 are more likely to have lead pipes, as well as fixtures and solder containing lead. The Safe Drinking Water Act has lowered the maximum allowable lead content that is considered "lead-free." It’s now a weighted average of 0.25 percent calculated across the wetted surfaces of pipes, pipe fittings, plumbing fittings, and fixtures and 0.2 percent for solder and flux. Does sparkling water hydrate you as well as plain water?